For the item type from Fire Emblem Gaiden and its remake, see Equipment. 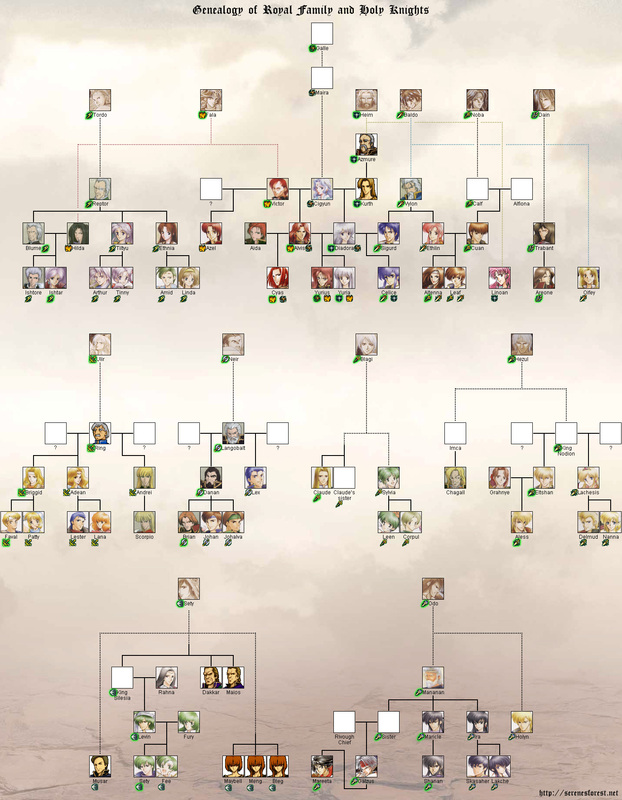 Ring's portrait in Genealogy of the Holy War. (Japanese: リング Ring) was the Duke of Grannvale's House Jungby in the era preceding the Battle of Belhalla, a full-blooded descendant of the Crusader Ulir and heir to the Yewfelle, and the father of Briggid, Adean and Andorey. Along with his friend Duke Vylon of Chalphy, Ring acted as an advisor and confidante to Grannvale's Prince Kurth, and for this reason drew the ire of Reptor of Friege and Langobalt of Dozel, who viewed him, Vylon and Kurth as threats to their power in the Grannvale court. Ring was both pious and wealthy, and so before Grann 747 he and his three children made a pilgrimage by sea to the Bragi Tower. Their ship was caught in a storm, causing them to evacuate it, but during the evacuation Briggid disappeared and, despite his best efforts, he failed to find her. At the onset of the war with Isaach in Grann 757, Ring departed for the war's front lines with Andorey at his side, despite their differences; he left the Yewfelle behind with Adean on her request, in case she found Briggid. As part of Reptor and Langobalt's conspiracy against Vylon, Ring was also framed as an accomplice to Vylon's alleged murder of Kurth. In a bid to prove his loyalty to Reptor's faction, Andorey killed Ring and succeeded him as Duke of Jungby, an act which disgusted even Langobalt. (unofficial) Ring Used in the Genealogy of the Holy War fan translation. Japanese リング Officially romanized as Ring. ↑ "Sigurd: You must mean Briggid. She's been missing since your childhood, hasn't she... You still believe you can find her, do you? This page was last edited on 23 December 2018, at 18:11.